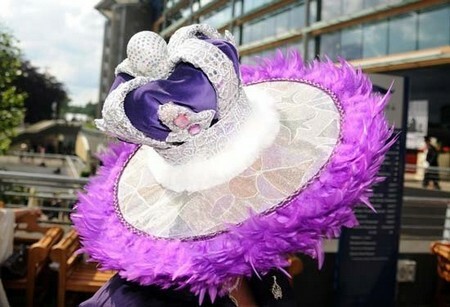 It’s that time of year again – time for the Royal Ascot 2012 and its’ outlandish hats! This annual event takes place in the third week of June and last for five days. The event was implemented by Queen Anne in 1711 and still continues today with pageantry and glamour. New rules were set in place this year to remove the over-the-top looks we are so used to seeing at this event. Women are required, with the new rules, to wear modest length skirts. This means that so many style choices are excluded as no miniskirt, midriff tops, off the shoulder or spaghetti straps are allowed. 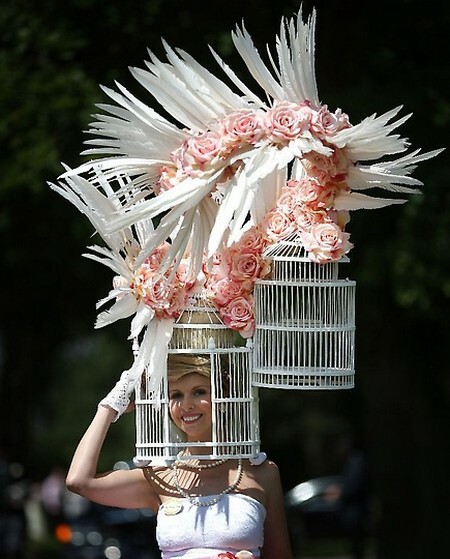 Enough about the silly fashion rules, let’s get down to the most important part of the Royal Ascot, the hats! 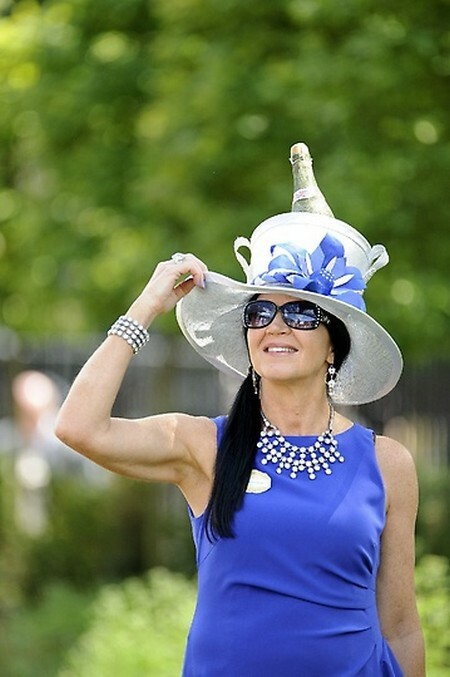 One of the most photographed (and also one of the most popular) hats at the Ascot was a grey and red saucer hat worn by Anna Newlands (see above). 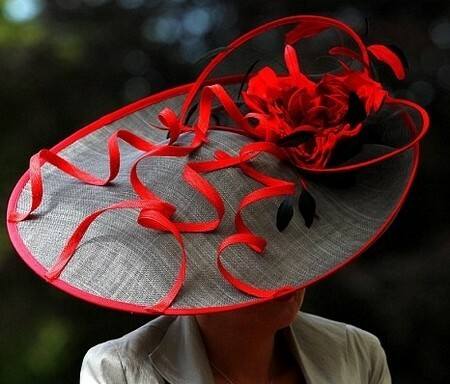 The saucer hat is defined by a faux red bouquet of roses near the back with flowing red ribbons rolling down to the frontal corners. The blood red is contrasted by a grey backdrop, creating a brilliant juxtaposition. Famous hat designer Tracy Rose wore a side-slanted yellow saucer hat with violet flowers in a yellow and white striped skirt. Her nails were fabulously extended to accentuate her hands and her love of Edward Scissorhands. 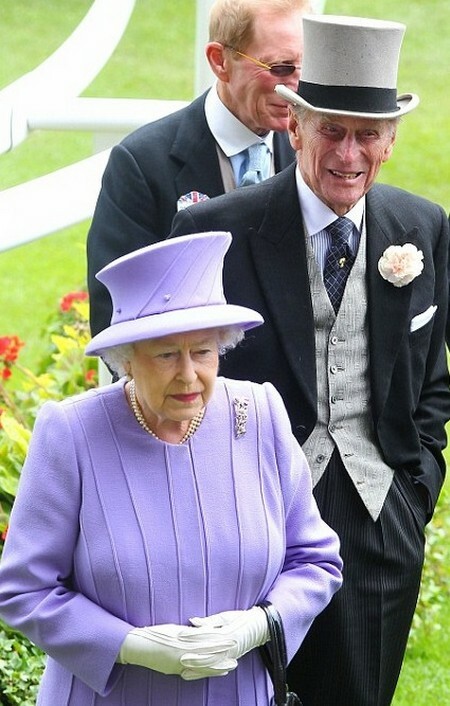 The Queen wore her usual with a light violet dress and a colour matched top hat. Prince Phillip, who looks considerably older than we remember, wore a grey top hat with a grey vest and a black coat-and-tail jacket with a salmon rose extended from the pocket. 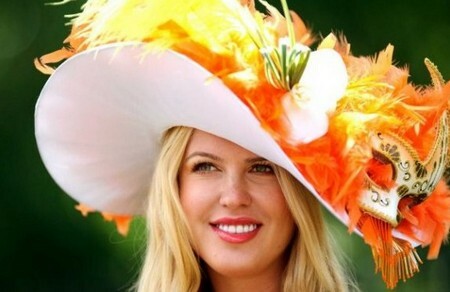 The Royal Ascot is currently on its’ 2nd day out of the five and we’re expecting some insane hats and even stranger fashion faux pas. Would you wear these hats CDL’ers? Let us know in the comments below.